This article was written by CadmiumCD Contributor, Pamela Shigeoka. Deciding which software system to use for event content management is no easy task. There are so many options on the market, so how do you choose which one is right for your organization? Here are four things to consider while you’re shopping for event management software to collect, manage, and share content from your various stakeholders. Running an event is a complex undertaking that usually requires multiple software systems. There’s attendee registration, session scheduling, exhibitor and exhibit hall management, and more. You can choose multiple software systems to handle all of these tasks, but it’s much easier on you and your staff to look for a system with all of the necessary parts integrated into one overarching framework. CadmiumCD’s event management software incorporates all of the products you’ll need to collect, manage, and share your event content. From a single dashboard called myCadmium, you can manage speakers, exhibitors, sessions, and more. CadmiumCD also has an ecosystem of tech partners that can fill your AV, association management software, or registration needs. All of our products share the same database, too, so you can easily consolidate your data instead of switching back and forth between databases and dashboards. A system that’s easy for your staff to learn and use is a really important thing to consider when shopping for event software. Having to deal with a steep learning curve takes extra time that your organization probably can’t spare while getting an event ready to go. 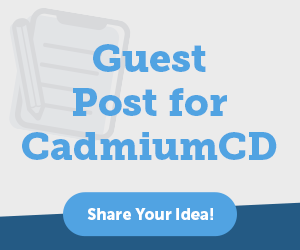 The myCadmium dashboard is streamlined and easy to navigate, making it simple for your event managers and staff to learn to use. You have access to your show’s data at your fingertips. It’s easy to collect content from speakers and exhibitors as well as see your attendee information. You can also quickly build your conference schedule and integrate data into your website and eventScribe® Mobile Event App. You can even make changes to your event information using the Conference Harvester®. It goes without saying that you want a software system that’s easy for your attendees, speakers, and exhibitors to use. Even more so than with staff, a steep learning curve can put users off from using your mobile app or online system entirely. Your system should be as easy for attendees to navigate as it is for your staff. Entering exhibitor information, submitting abstracts or speaker presentations, and browsing the schedule and exhibitors should be intuitive. CadmiumCD’s event management software makes it simple for users to find the information they need and submit their own content. You can choose software that lets attendees submit posters and upload presentations for sessions as well as create a biography and contact information to be shared with fellow attendees. Your schedule and exhibit hall map are at attendees’ fingertips with the eventScribe® Mobile Event App. Perhaps the most important thing to look for in event management software is flexibility. You shouldn’t have to bend your event’s needs to fit into what a software will do; the software should bend to suit you. CadmiumCD’s event management platform gives you a wide range of options so you can create the event experience you want. Flexibility goes from the top level all the way down to the small details with CadmiumCD. You can fine tune exactly how your event schedule looks down to choosing specific font colors to make a session time pop, and you can choose to include links to speakers’ social media accounts along with the session description. You can also customize the back end, choosing which data you will be collecting from submitters, speakers, and exhibitors. There are many options on the event software market, and choosing which one is right for your conference can be overwhelming. 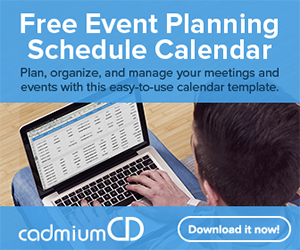 CadmiumCD offers an integrated event software platform that’s easy to use both for you and your attendees that offers the flexibility to get the most out of your event. Contact CadmiumCD today to see if it’s the right platform for you. I am a freelance writer who enjoys dipping my toes into a wide variety of writing subjects. I have an M.A. in English but found that teaching wasn’t for me, so I’m applying my training to writing instead. I’ve been blogging for ten years and have written everything from book reviews to pop culture essays to business topics. In my spare time, I enjoy writing fiction, playing games, and learning new crafts. I live in Corvallis, Oregon, with my husband, daughter, and dog.